Websites are no longer a luxury item. They’ve become a necessity for every of business, both large and small. The standard for websites has evolved as well. No longer is simply having a website enough. You need to have a modern, clean website with beautiful imagery that’s easy for visitors to navigate, consume content, and contact your business. Seeing that over 75% of internet usage occurs on mobile devices, your website needs to display nicely for these users. That means responsive design is a must. Responsive design has become the gold standard in web design. Responsive websites automatically adjust to the screen size of a user’s device. The way images, content, and the navigation is displayed completely changes from device to device, ensuring each and every user has a wonderful experience on the site, whether they’re using a desktop computer, tablet, or smartphone. Smartphone and tablets users typically have a horrible experience when they arrive on a website that isn’t mobile friendly. Users are forced to pinch their fingers in order to zoom in enough to read the content. Small text makes it nearly impossible to click hyperlinks and call to action buttons, decreasing the likelihood that website visitors will take the step to fill out a form or contact your community. Websites that aren’t mobile friendly look outdated and are a poor representation of your business or community. 94% of users claim they mistrusted or rejected a website because of poor web design. There’s a good chance your website could be a prospective resident’s first impression of your community. If it’s impossible to read and poorly designed, there’s a strong chance they could end up leaving the website immediately after arriving, even if it contains excellent content. In the early days of smartphones, people built separate mobile versions of websites. If a visitor clicked on your website using a smartphone, it would automatically redirect them to the mobile version. This is inefficient, and a waste of both time and money. You must pay someone to create, manage, and update two separate websites. Typically, these websites are a condensed version of the main site, meaning mobile visitors would not have access to the same content, lessening their experience on the site. Also, with separate sites you must develop separate marketing strategies, as building out SEO for one website will not transfer over to the other. Besides the fact that you won’t need to create and manage two SEO strategies with a responsive site, this type of website design offers additional SEO benefits. Google takes responsive design into consideration when determining how to rank your website. Responsive websites typically rank higher for mobile searches. Responsive websites contain modern coding and are optimized for mobile usage leading to lower load times. Site load time is also something the complicated Google algorithm examines when determining how a website will rank in the search results. 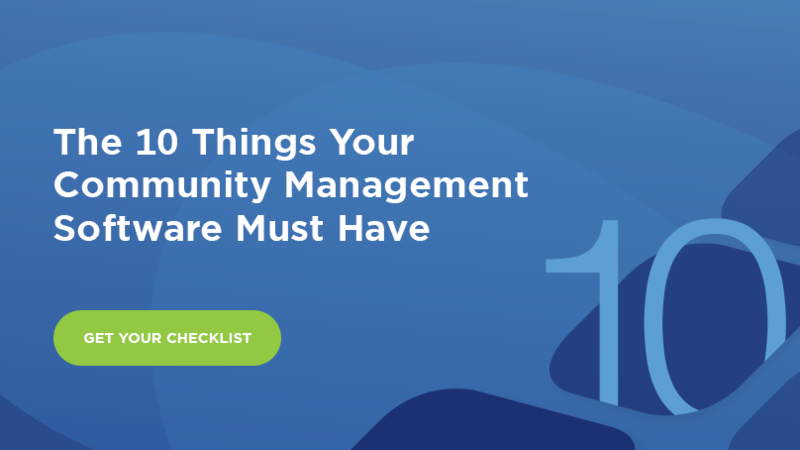 If you’re looking for a new community management software provider, make sure they offer modern, responsive websites. For additional tips on what your provider needs to offer, download our free checklist! Are Gen Z’s on Your Company’s Radar?